Out of nowhere the rain started falling heavily as we were nearing Angkor. My heart sank, I have had way too much of rain on many of my trips this year. 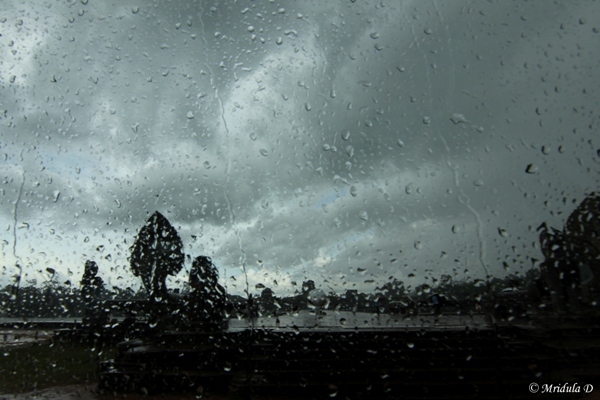 I was left wondering if I would see Angkor in pouring rain! It was not what I wanted. Heavy rains mean the camera stays in the bag and the umbrella comes out. I did not want it at any cost. 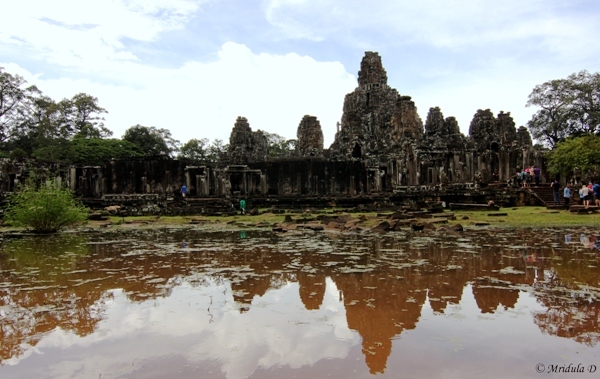 However as we neared one of the gates to Angkor Thom, the rain miraculously stopped. 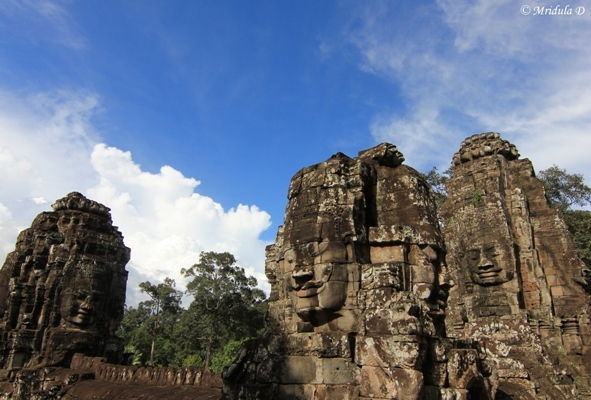 Bayon is at the center of Angkor Thom, the ancient capital of the King Jayavarman VII. People from my group told me not to Google it and wait till I saw it. With a lot of difficulty I managed to stay away from searching about it the night before. The first look was quite impressive. If I could have it my way I would have stood rooted to this spot by the water for at least half an hour. Alas it was not to be, our guide the soft spoken Sophiya asked us to move on after what felt like just 5 minutes to me. The temple is said to have been built in the late 12 or early 13th century. When we are talking about such ancient times, what difference does a mere few years make? 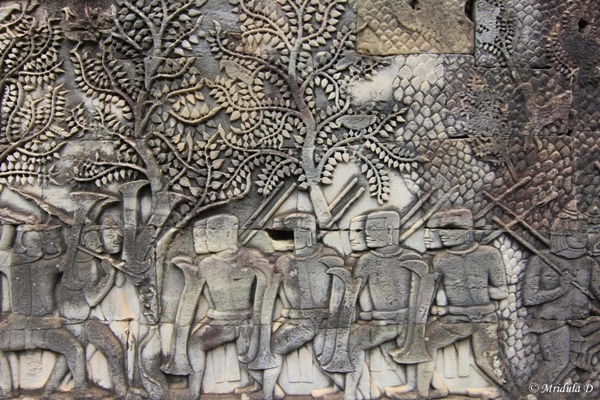 On the outer walls of the temple there are intricate carvings that depict the history, war and the way of life in Cambodia at that time. Water, boats, fish and crocodile also feature prominently. 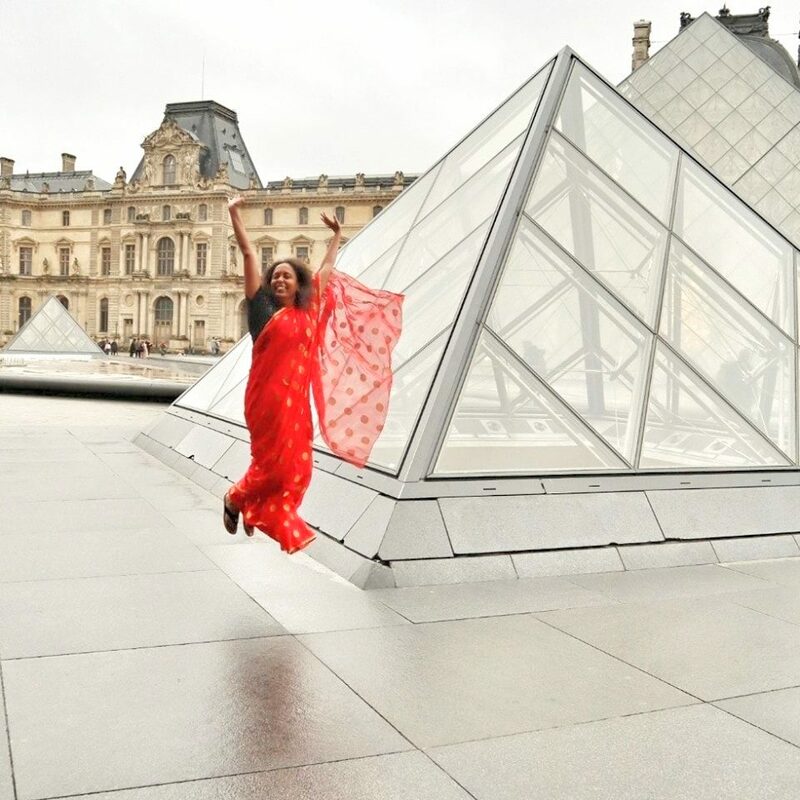 The most striking feature of the temple are the giant smiling faces that beam from the upper terrace of the temple. King Jayavarman VII was a follower of Mahayana Buddhism but later on the temple acquired features from Hinduism and later Theravada Buddhism. I remember the day as quite humid, my hair went completely limp by the time we were about to leave the place. In spite of the heat and the humidity and the carrot of visiting another temple Ta Phrom (Lara Croft The Tomb Raider has scenes from Ta Phrom), Sophiya had to cajole and cox us to get out of Bayom. He even mentioned an air-conditioned bus and cold water waiting for us but we still took our time. 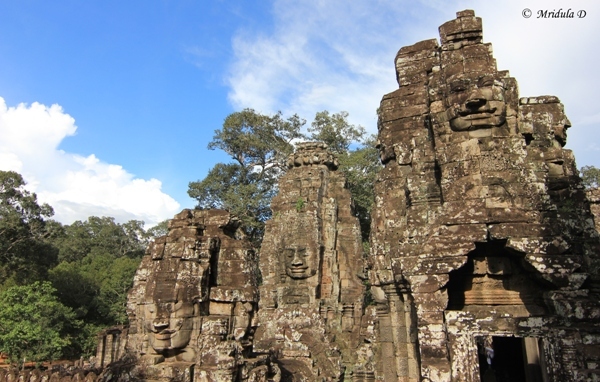 In the end I can only say for a place like Angkor and Bayon once is just not enough.